To me painting has always been like prayer. 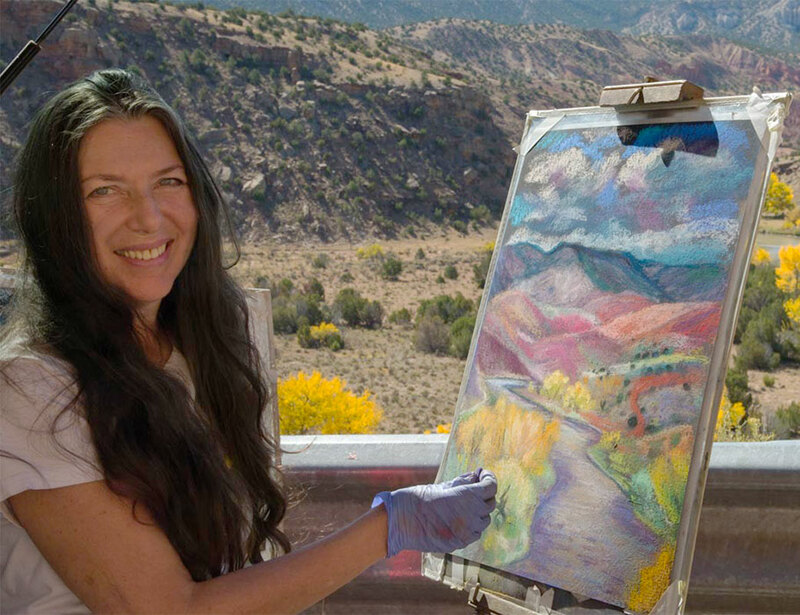 Whether I’m painting the landscape, a flower, or one of my women of the Bible, I feel as though I am part of the earth, part of something much bigger than myself. It is a prayer of giving thanks, an expression of gratitude for the beauty of nature and all aspects of our life. 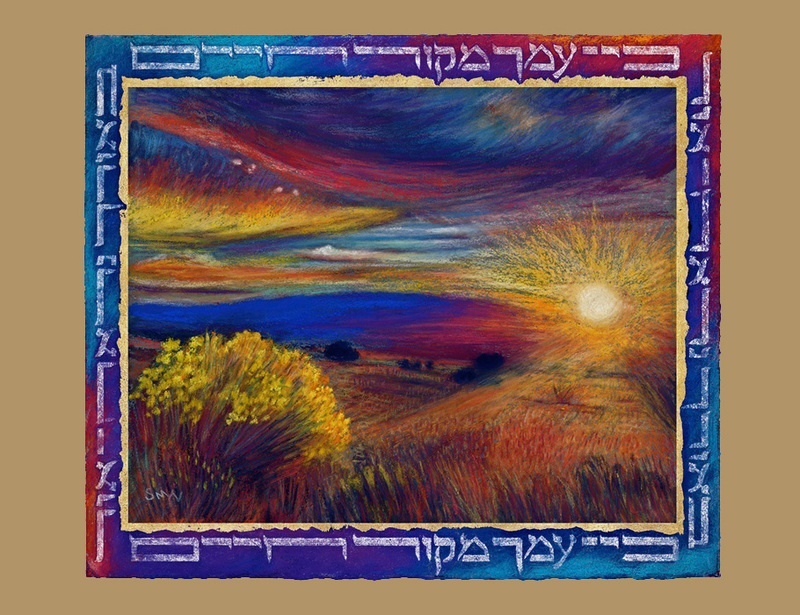 Sara’s artwork and Judaic Art is a unique, inspirational and luminous blend of landscape paintings of New Mexico and Israel landscapes, many bordered with Hebrew Psalms and blessings. 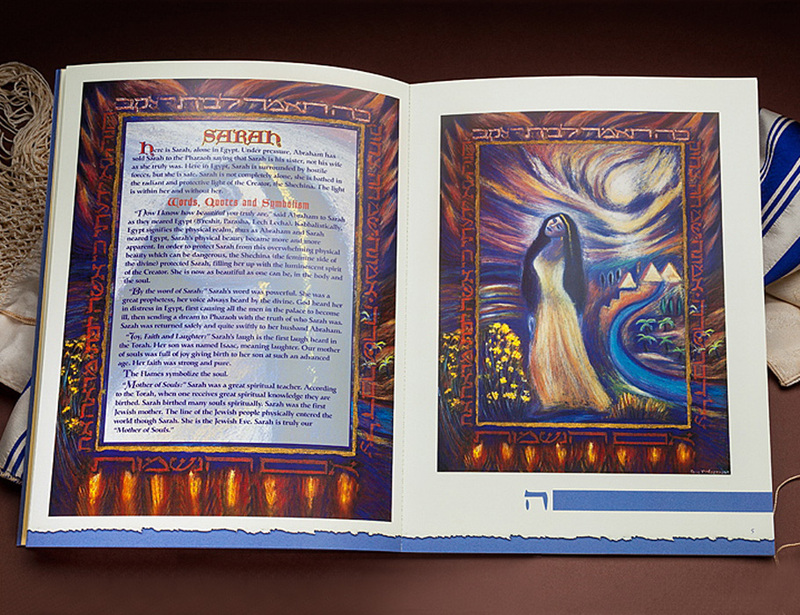 Influenced by the stories from the Torah and Kabala, her Women of the Bible paintings and limited editions are mystical and powerfully charged with the spirituality of these great women. 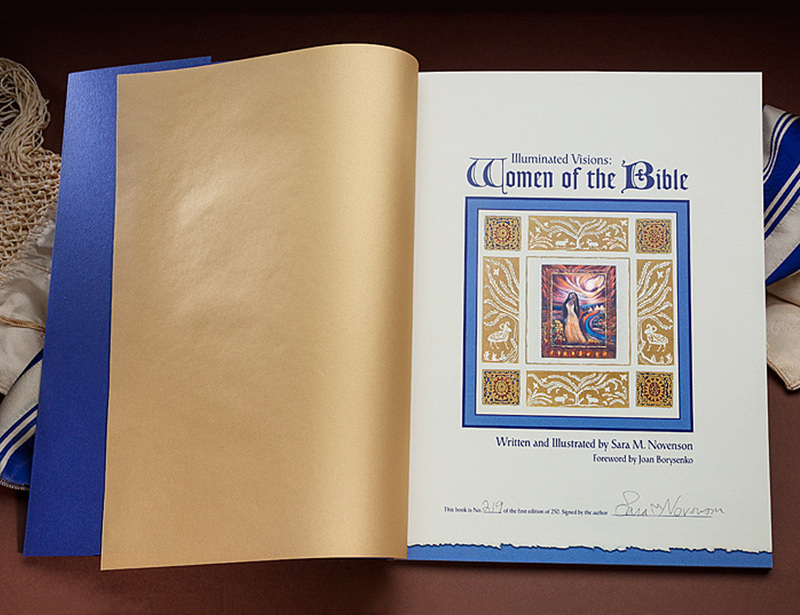 Click here to see Sara’s work in the Jerusalem Post. Sara Novenson speaks about her work. Click here for article about Sara published in Lilith Magazine. 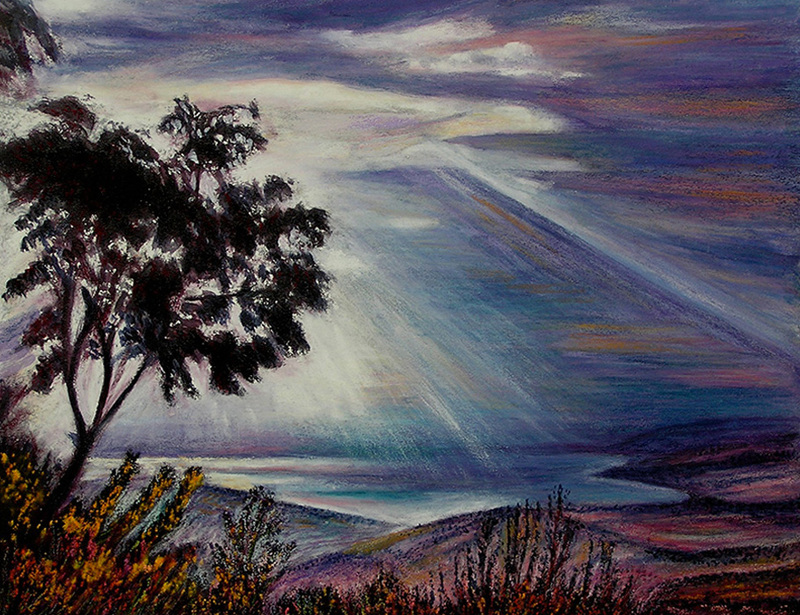 Most of the limited editions on Sara Novenson’s web site are giclee prints. Each one is proofed, hand painted, signed, and numbered by the artist. 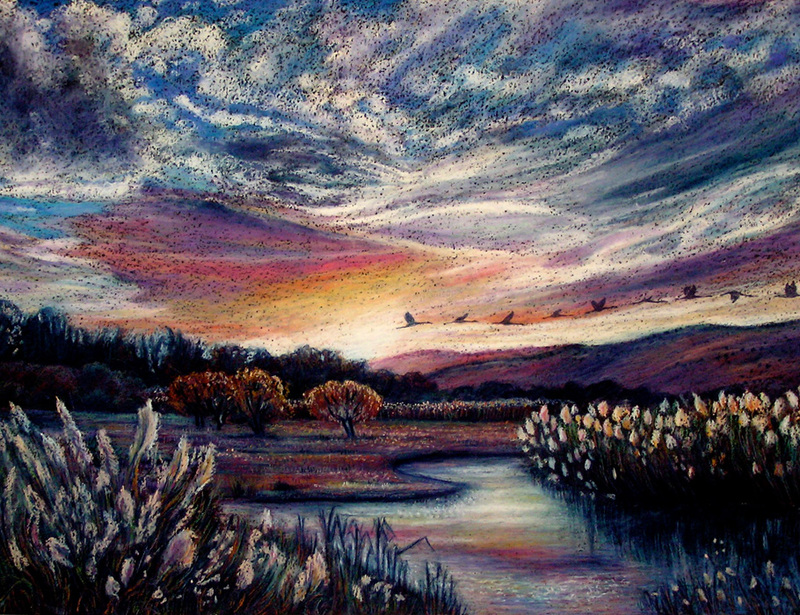 Sara hand paints each print with pastels and gold pigments, making every single one a unique piece. Many of the 11”x 14” pieces are printed on a Japanese rice paper, then glued with an archival glue to a fine printing paper. The giclee prints are on the caliber of a fine litho or serigraph, but can cost the artist more per print. 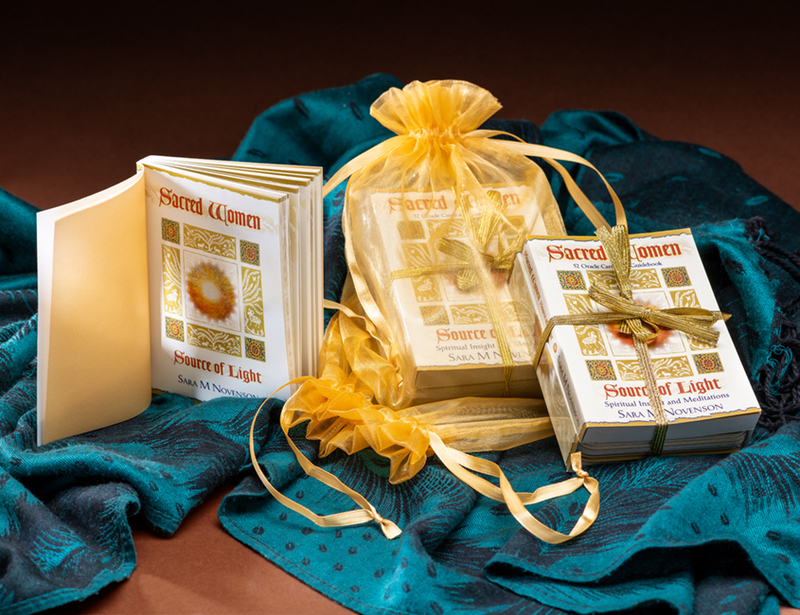 The papers and inks are archival and colorfast. 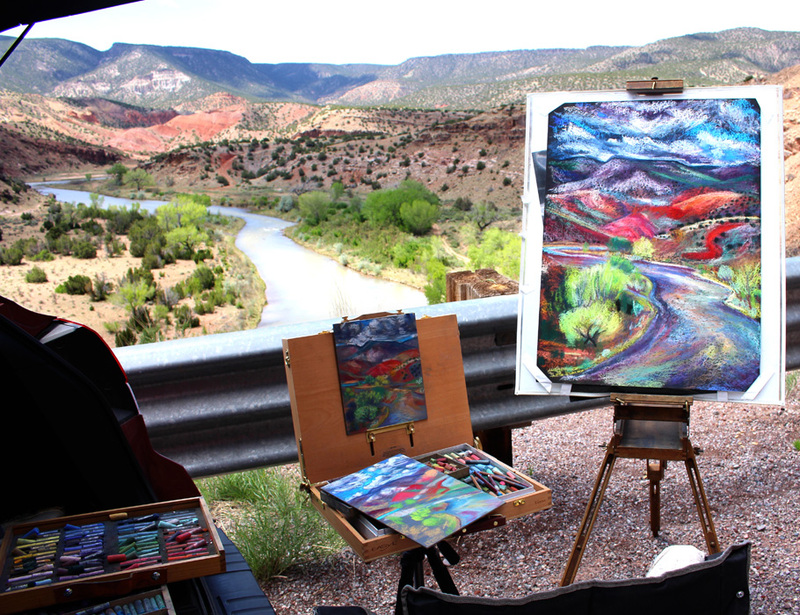 All of Novenson’s giclees are done in Santa Fe, New Mexico.